Professional audio quality and unique UI! 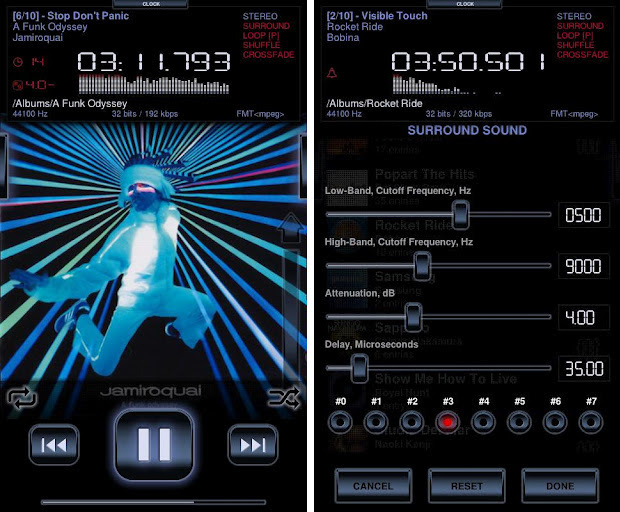 Neutron features own professional HD 32-bit audio rendering core which helps to deliver best possible sound quality from your Android device to the external speakers, or headphones. Last.fm scrobbling (install Last.fm app, enable in Settings -> UI -> Scrobble). Save current playlist position and track progress on exit. Split Headset -> AUTOJACK to: AUTO STOP/PLAY. Support for CUE Sheet built into tags (FLACs). Single music entry can be ENQUEUEd now. Fixed /Removable path not seen on TF101. Fixed Unicode path wrongly shown. 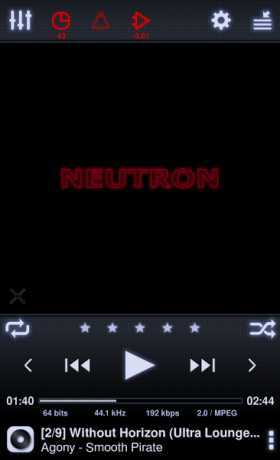 Hope you’ll like Neutron! and have fun with it! 32-bit audio decoding/processing for high quality HD audio. Audio formats: MP1, MP2, MP3, OGG (Vorbis), FLAC, WMA, AC3, AAC, M4A, M4B, M4R, MP4, 3GP, 3G2, MOV, ALAC, APE (Monkey’s Audio), WV (WavPack), MPC (MusePack), WAV, AU, AIFF, MPG/MPEG (audio only), AVI (audio only), iTunes/Windows Media inclusive except DRM-protected. Modular audio formats: MOD, IM, XM, S3M. Surround sound DSP (using Ambiophonic R.A.C.E. technology). Crossfeed DSP (for better stereo music listening experience with headphones). Rumble Filter DSP (to protect speakers from overloading with frequencies below 20 Hz). True gapless playback (audio sample accurate). 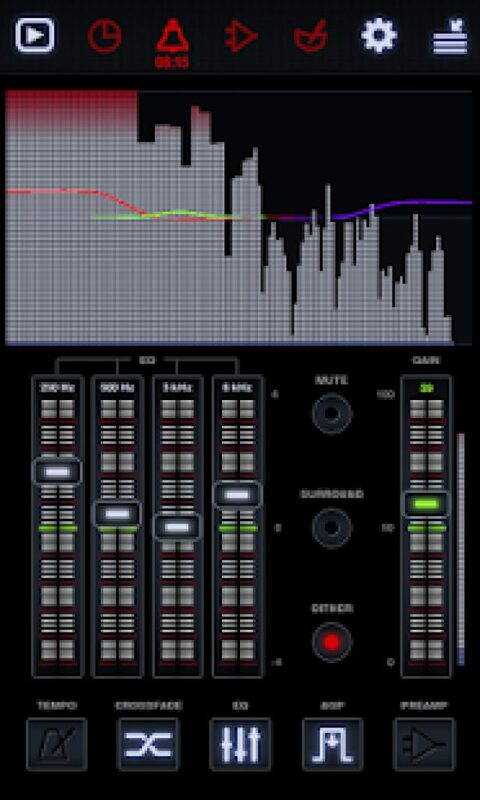 HQ Resampling with 3 modes: fast, quality, audiophile. Dithering (to improve audio quality by eliminating quantization in signal). Crossfading (including manual track switching in playlist). Looped playback (playlist songs, or individual track). sorting (source, album, artist, genre), shuffling (including looped shuffling), looping, multiple instances. Night UI mode with colorful audio visualization. Album art (supported image formats: PNG, JPG). Album art visual effect based on currently playing music. Automatic key-lock with colorful audio visualization.